Second: Set your calendars… v3.0 is releasing on Tuesday, April 30th. A Master or Grandmaster in your Clan starts by selecting a clan raid and spends the Raid Tickets your clan has collected. You and your clanmates start preparing. Next you’ll see the list of Titan Lords you need to defeat. 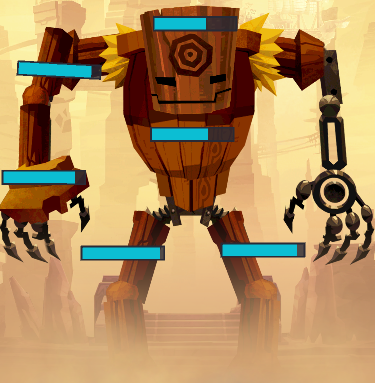 You pick a deck of Raid Cards that will be strong against a full health Titan Lord and you attack, using up one of your three attacks for this attack cycle. You swipe across the Titan Lord’s head, maximizing the effectiveness of the Skull Bash raid card, but you also do your best to spread the Inferno Sword Affliction across the other parts for extra damage. Each of your clan mates do their own attacks and, eventually, you have taken down all of the Titan Lords in the Raid. Now, you all reap the rewards: new Raid Cards, Hero Scrolls, and Dust to spend in the Card Shop! Since you completed this raid within the time limit, next time your clan can try an even harder raid for even greater rewards... If you’re up to it. There are now different Titan Lords to face! The individual parts can now be targeted while you are attacking - and the HP in each part can vary from one Titan Lord to the next. To defeat a Titan Lord, you must deplete its Total HP, which is displayed at the top of the attack preview and attack screens. Individual parts can even be destroyed as each has its own HP! Skeleton: The Titan Lord also has an underlying skeleton layer which is revealed as its armor and body parts are destroyed. The Skeleton takes significantly reduced damage from all attacks and Raid Cards will not activate when you are attacking the skeleton, so instead of targeting a skeleton part, you should focus attacks on the parts with HP remaining! 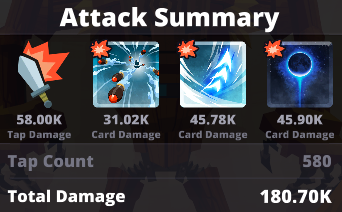 Before attacking a Titan Lord, select a deck of up to 3 of your Raid Cards to contribute to the damage you deal in your attack. 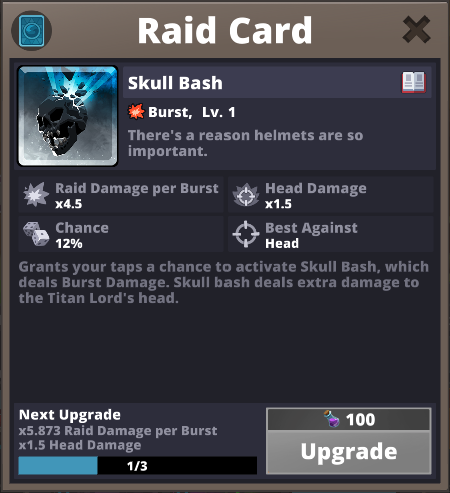 Try to figure out the most powerful combinations of Raid Cards -- and the right opportunities to attack with them! Note: This means that you could do your attacks right at the start of the first attack window, then do more attacks at the end of the second attack window - without missing out on any attacks! No more alarm on your phone every 6 hours! Come join us for the April 17th Livestream for more details about all of these systems. Bring some questions - we’re ready to reveal it all! Next week’s Devlog: Main progression balance changes!